Happy Friday Lovelies! Did you all get a chance to link up last night to the Feature Friday Link Palooza last night? I love all the fun recipes and crafts you are all sharing. You are some talented bunnies! Today I wanted to share with you a new recipe that is going to start making a regular rotaion on my monthly menu. I have been craving coleslaw lately. 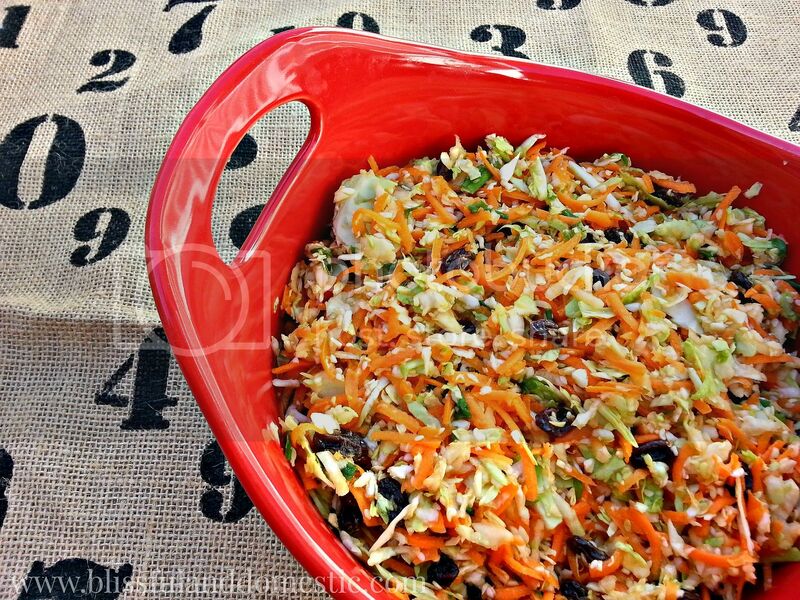 I don't know if it is the summer heat that makes me crave yummy, veggie sides, but I have been wanting coleslaw like crazy (no I am not preggo. I'll let you know when I am haha!). 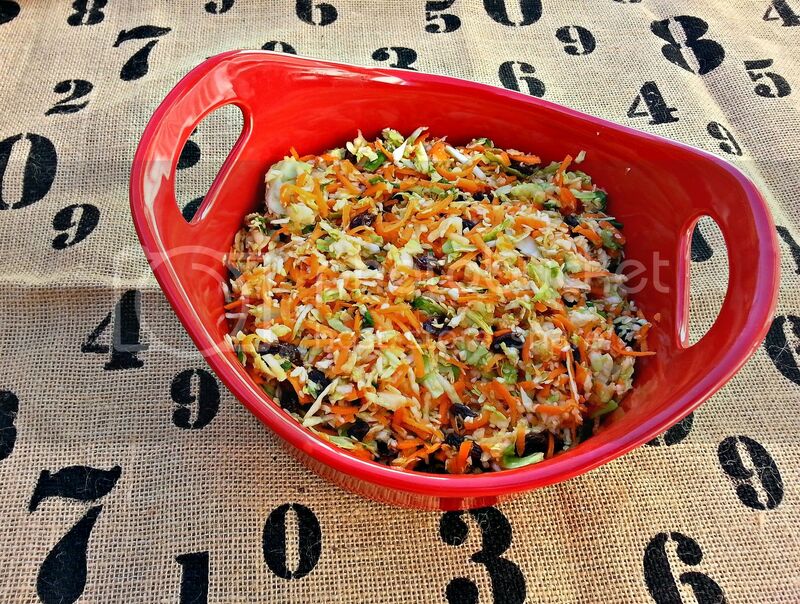 That being said, I wanted to create a coleslaw with an asian flare. 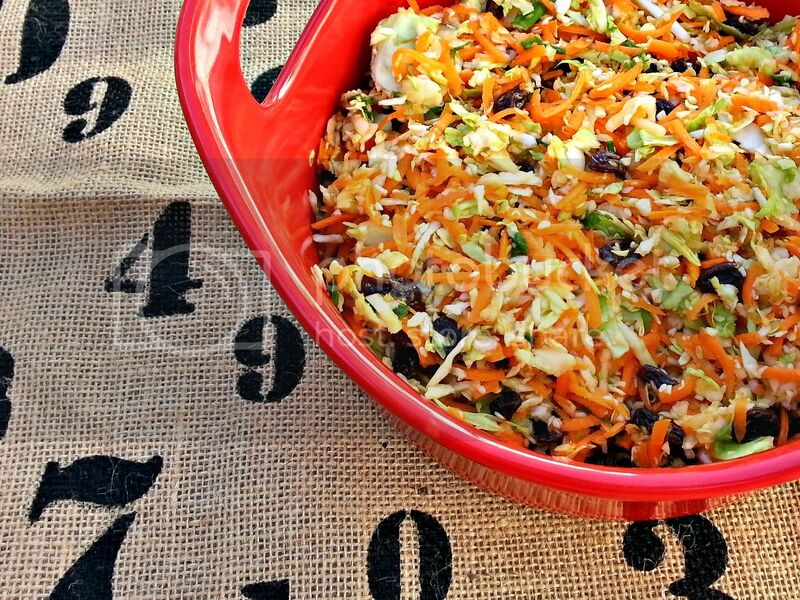 This one is super light and perfect for any summer BBQ. 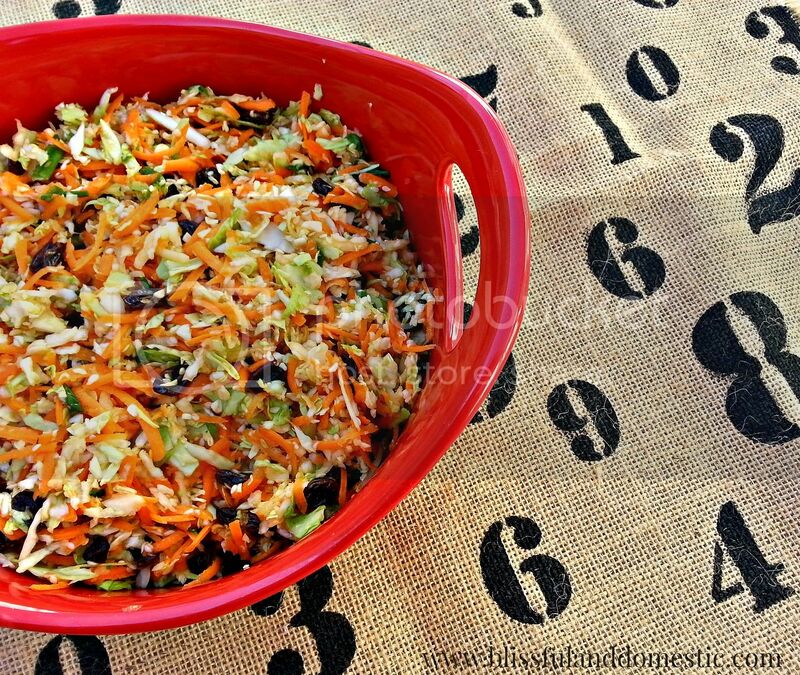 Ready to make your own Asian Ginger Coleslaw? To shred my cabbage and carrots, I used a food processor (oh how I love this thrift store find). 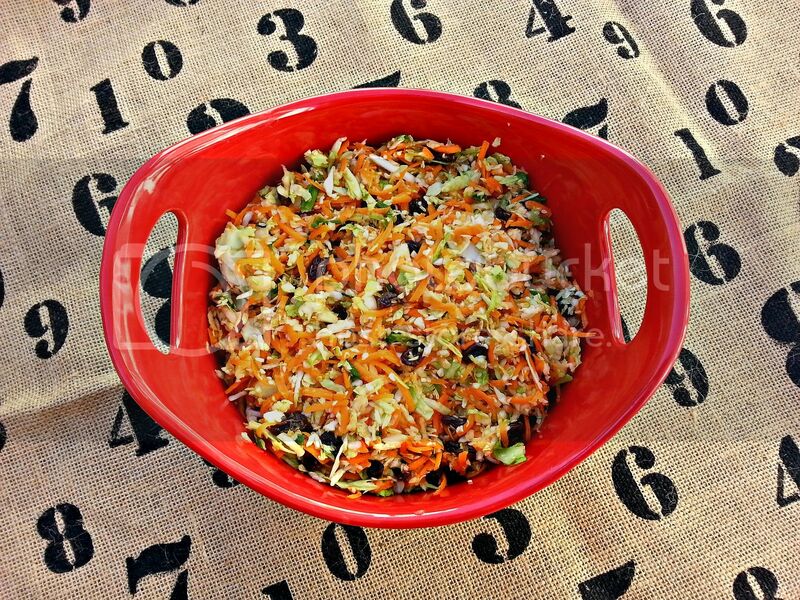 In a large bowl combine your shredded cabbage, carrots, and raisins. In another small bowl combine the remaining ingredients. Pour over cabbage mixture and mix well. This pairs well with Sesame Honey Chicken. Looking for something else delicous? This looks so incredible! 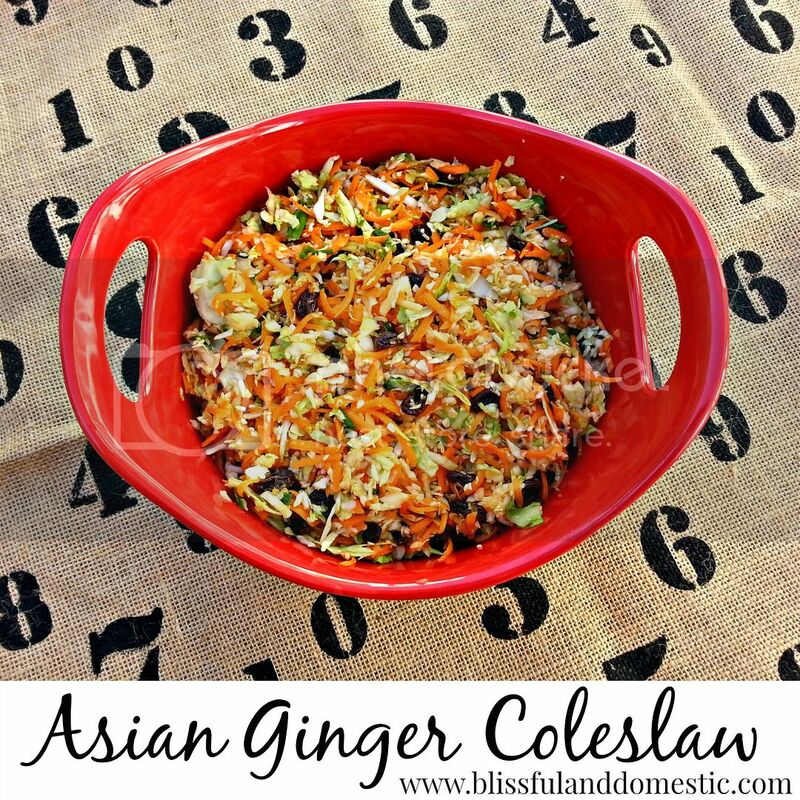 I really have to make some of this for my husband, because he loves anything asian!